I’ve been scratching my head for weeks trying to figure out what to get my son for his birthday. He’s turning one today and though it seems like a momentous occasion for my husband and I, my son has no idea what’s going on. For the most part, the toys get about 5 minutes of excitement before being tossed in the corner to collect dust. As much as I want there to be something fun to open, is there really a point in spending the money? After a few failed trips to the toy store I decided not to buy toys, clothes or other things that were just going to go to waste. I was a little worried about my husbands reaction about not doing anything huge but, surprisingly, he agreed. I knew I still wanted to find a way to make his first birthday special, so naturally I took to pinterest for ideas. I’m a graphic designer so I love anything creative, plus I’ve been scrapbooking for years. I decided to print off a bunch of my favourite photos and get out some paper, glue and stickers. Not only was it really fun to try to put together the book, it was a good reminder of how exciting the last year has been. It’s funny how much your baby changes when you really go through each of the photos and compare. I left a few spots throughout the book to write messages, memories and funny stories so that one day he can enjoy the moments as much as I did. Although Ollie is only turning 1, he loves food and has already made it very clear what his favourites are. 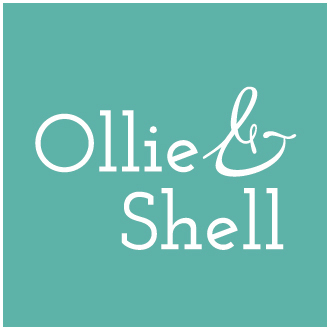 We’re hosting a special dinner party with our family and all of Ollie’s favourite foods will be on the menu. We’re serving homemade lasagna, garlic bread, green beans and fresh blueberries for dessert. We’re going to have a mini cupcake that he’ll have all to himself, I can’t wait to watch him dig in to all the sugary goodness. Grab a wooden box, some dollar store paint to decorate and get everyone to write special messages that get locked away in the time capsule. It’s a fun way to store some really great memories, advice or photos that get opened when baby turns 18. This idea is simple, inexpensive and will be a great surprise when baby grows up. When my son was born, one of my friends made him a quilt from fabrics that would match his nursery. The blanket was the one we wrapped him in when we left the hospital and it’s been one of his favourites ever since. Now that we have a hoard of baby clothes that don’t fit I want to make a repurposed quilt from his favourite old clothes. It’s a great way to reuse some of the worn out clothes and it’s a sweet keepsake that lasts forever.